As an old performance art, juggling can be traced back to more than four thousand years. Always interesting to watch, juggling balls often appears easy. However, as a beginner, you will experience less juggling and more falling balls. Nevertheless, with some practice and direction, you could be one of the best ball jugglers. While some people learn very fast, others take longer. Here is how to juggle 3 balls. 3 objects preferably beanbags or small balls. For achieving fast progress in your juggling try Russian style juggling balls. Comfortable clothes since constrictive clothes might make your hands less flexible. A little space to move around. Some patience to learn the art. First, you need to find beanbags or good balls that are neither too big not too tight. If you are a beginner, it’s advisable to go for small balls that can fit snugly in your hands. 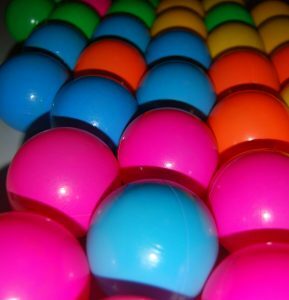 Instead of small balls, try using purpose made balls that don’t roll or bounce away when dropped. Once you’ve found the best balls, you need an ideal place to stand. Avoid learning near any fragile objects that might break. Stand with your feet shoulder apart. From the observational standpoint, this is the simplest way to start. Start by practicing with one ball until you are sure that you are comfortable. While doing this, you need to get used to the weight and the height of juggle. However, avoid throwing the ball too high into the air. As you move on, try getting used to moving your hands in a circular motion. Have the juggling balls in your hands with each hand having one and then throw the first ball towards your left hand. Before it reaches the left hand, release the other one towards the right hand. Although you may panic after throwing the ball, this is a habit that you must stop. Make sure you repeat this process several times until you are sure that you are fairly okay. Once you can juggle this easily, try starting with your other hand. Have two balls in your right hand and one ball on your left hand. However, if you’re left-handed, let your left hand carry two balls. Only move to this step when you are sure that you can juggle two balls. Start by throwing the balls from your right hand. When the ball reaches the peak, throw from the left hand and when it peaks, throw from the right hand. As you move on with this process, you might start experiencing bad throws. Don’t worry this is just normal. Now that you have mastered the art, try throwing the balls in different positions and start catching them differently. If you do it right, then the juggling process will look like a magic. Now that you’ve become a pro, you can start playing around with the balls and having fun. Try throwing the balls between your legs or behind your back? Do not be afraid to try out this. Show your family and friends that you are a pro. However, ensure that what you are juggling will not endanger the surrounding. Well, that is how to juggle 3 balls. Try it out, practice, and have fun.